I don't get out to Largo too much but whenever I do, Mo' Ziki is now on my list of places to eat. In fact, I would make a special trip to Largo for Mo' Ziki. Relatively new to the restaurant scene, Mo' Ziki combines Greek inspired flavors with a unique twist. As far as the scene goes, Mo' Ziki, with it's deep blues and vibrant greens, is a relaxing and easy atmosphere. We were definitely impressed with how everything flowed. Atmosphere and concept is obviously very important to business partners, Josh and Geoff. In fact, they boast a concept that is fresh, fast, flavorful and affordable and it's true! The combo meals won't even come close to breaking the bank, yet you get a great deal of food that you will not be disappointed with. To start, patrons pick a style. Choices include Pita (white or wheat), Wrap (white, spinach, wheat, tomato basil), Bowl (meat, rice & choice of toppings), Salad (with meat option) and Greekadilla (grilled tortilla and choice of stuffing). We selected the Gyro pita and Greekadilla with chicken. Next, choose your meats, vegetables and cheese (ranging from peppers to olives to feta), as well as your sauce. 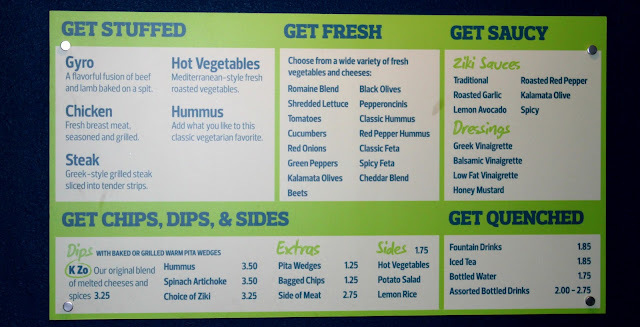 Dressings are also available, including Greek Vinaigrette, Balsamic Vinaigrette, Low Fat Vinaigrette and Honey Mustard. 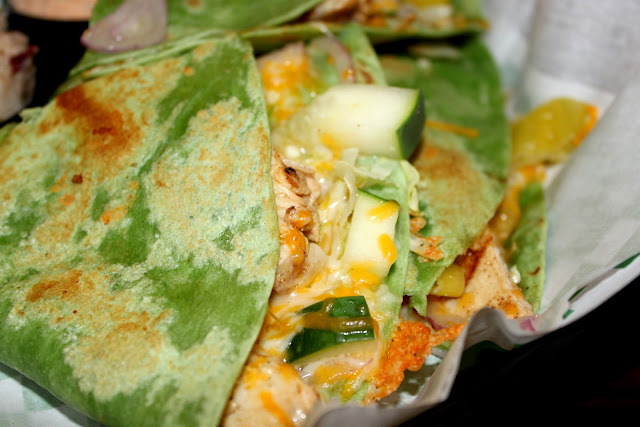 On the Gyro pita, we chose light lettuce, green peppers and the Spicy Ziki sauce. On the Greekadilla, I chose chicken, lettuce, tomatoes, red onions, cucumber, pepperoncinis with cheddar cheese and the Roasted Red Pepper Ziki sauce, recommended to me by a staff member. 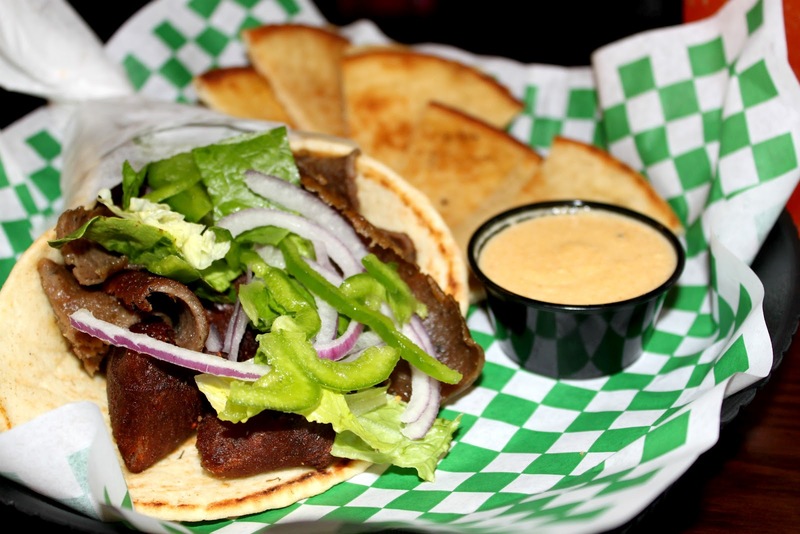 The Gyro Pita was a quality blend of beef and lamb fresh from the spit and especially paired with a sauce, it took on a great flavor. I chose the Chicken Greekadilla with the spinach tortilla. My first reaction when the chicken was placed in the tortilla was, "Wow, look at the chicken!". It was obviously juicy and grilled and you could tell immediately from the other side of the ordering glass. When we tasted it, there was immense flavoring thanks to the seasoning Mo' Ziki uses. The chicken was grilled to perfection. On top of our main meal, Geoff brought us samples of all of the sauces, as well as the steak and the Greek Lemon Soup. The steak is so amazing. It's greek-style grilled and sliced into tender strips and the freshness shows. The Greek Lemon Soup is a newer item on the menu and it'll be something I order with all future Mo' Ziki meals of mine. 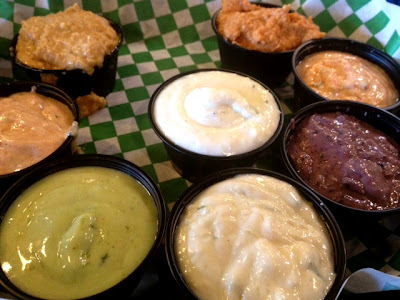 The sauces and dips vary and I really enjoyed all of them. Ziki sauces include Traditional, Roasted Red Pepper, Roasted Garlic, Kalamata Olive, Lemon Avocado and Mo' Spicy. Hummus options include Classic and Roasted Red Pepper. The Ziki sauces are all Mo' Ziki signature, taking a traditional tzatziki sauce and not only making it their own, but then expanding to also offer this variety. My favorites were the Traditional, Roasted Red Pepper and Lemon Avocado. To try to describe the Lemon Avocado will probably do it an injustice - you just have to try for yourself! Another unique dip is the K-Zo which is an original blend of cheeses and sauces, served with warm, grilled pita wedges. It's not pictured because we ate it that fast. Described by my table as a 'super mac and cheese dip', the K-Zo was quite possibly my favorite part of the whole meal. 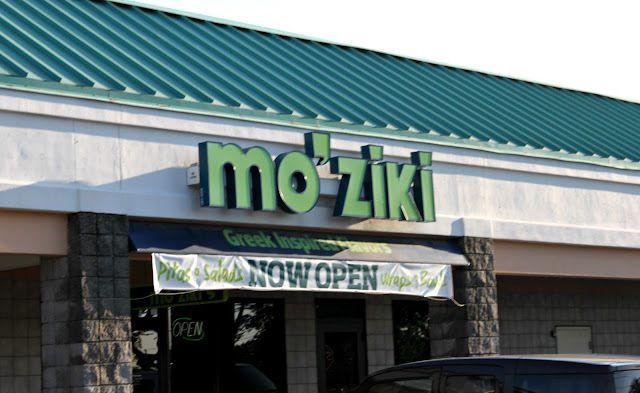 Along with any of the above, Mo' Ziki offers a number of other sides and extras: Hot vegetables, potato salad, pita wedges, bagged chips, side of meat, chocolate chip cookie and Baklava. A kids menu is also available (choose from Grilled Cheese Pita, Chicken & Cheese Pita or Gyro Pita Pizza). On Thursdays, get a FREE kids meal for each adult combo meal purchased. Even though everything is made to order and you sort of, to a certain extent, determine your own fate here by your combo of ingredients, there is no denying the quality and flavor of the meat (and really, everything that is offered). The vegetables are crisp and juicy and their meats are cooked in a Greek-style marinade unique to Mo' Ziki. I'll definitely be coming back here again, especially for their $5 Pita Sundays (or $5 Pita happy hour from 3pm-5pm Monday-Saturday. 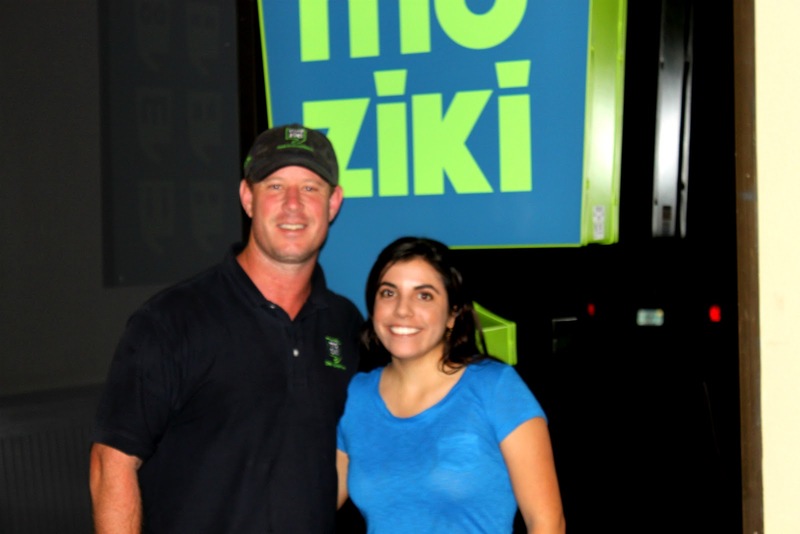 You can also become a member of Club Ziki where you can build points to earn free menu items! Thank you to Geoff for inviting us and we will be seeing you all soon! Mo' Ziki is located at 10801 Starkey Road, Unit 11, Largo, FL 33777 and they are open Monday-Sunday from 11am-9pm. Be sure to 'like' them on Facebook and follow them on Twitter! Reminds me a lot of Gogos Greek Grill. I love these places! But I could seriously eat Greek food every.day! We should all go!!! This is literally 5 minutes from my house! I LOVE Greek and that place is right by my work..I am going to have to check it out! Your review is much more favorable than mine. I liked the food but I thought the prices would have to be a bit lower in order go there instead of a more traditional Greek restaurant. However, if I was in Largo and needed some tasty food in a hurry, I would definitely go there. I'll have to try the K-Zo dip and the chicken Greekadilla next time. I do love that they make they're own sauces. Tzatziki sauce is one of my favorites. I don't think I had the roasted red pepper sauce, so I'll try that too. I'm a St. Pete girl, though. I'm only in Largo once or twice a month and it's never at lunch time. Do you know if they've opened any other locations? I'm pretty sure they were wanting to turn it into a chain. It already looks like it is. It reminds of Chipotle and Qdoba, but with Greek food.